Feeling tired and sluggish? Struggling with depression? Perhaps you’re having muscle and back pain? These symptoms may indicate that you are lacking vitamin D. In fact, up to 15 percent of people worldwide are vitamin D deficient. The risk is higher among seniors and individuals living in cold climates or spending a lot of time indoors. Vitamin D is an essential vitamin known as the sunlight vitamin, since it is synthesized in the skin when exposed to the sun’s radation. It provides benefits for bone structure, mood state and much more. Vitamin D plays a key role in overall health and well-being. It regulates calcium levels, supports cardiovascular function, and keeps depression at bay. Even the slightest deficiency can put you at risk for osteoporosis, immune disorders, recurring infections and more. This fat-soluble vitamin is produced by your body after exposure to sunlight. It also occurs naturally in a small number of foods and can be purchased in supplement form. Commonly referred to as the sunshine vitamin, it supports calcium absorption and regulates several key processes in the human body. Vitamin D2 is derived from plant sources, while vitamin D3 can be found in eggs, dairy, and other animal foods. The first one is synthesized through exposure to UV radiation from the sun; the latter can be obtained from diet and supplements. However, food can only provide five to 10 percent of the recommended daily amount of vitamin D. That’s why health experts recommend spending at least 10 minutes outdoors on a daily basis. This helps increase vitamin D levels in the body and may prevent deficiencies. This nutrient plays a key role in bone health and immune function. Without it, your body cannot absorb calcium and must take it from your bones. Rickets, osteoporosis, fractures, and joint pain are common complaints among those who are deficient in vitamin D.
The human body needs this nutrient to maintain optimum phosphorus levels and normal immune system function. An adequate vitamin D intake may help lower your risk of heart disease,multiple sclerosis, depression, and obesity. In a clinical trial, healthy overweight subjects who took vitamin D supplements experienced significant improvements in heart disease risk markers. Another study has found that those who added vitamin D and calcium to their diet lost more weight compared to the placebo group. According to researchers, this combo may suppress appetite and offset the risks associated with obesity. If you’re struggling with depression, you may benefit from a higher vitamin D intake. In a study, depressed people who received this nutrient in supplement form reported major improvements in their symptoms. Furthermore, vitamin D may reduce your risk of developing neurodegenerative disorders. How much vitamin D you need depends on several factors, including your age, overall health, and lifestyle. For example, people who have dark skin or spend a lot of time indoors require larger doses of this nutrient. The recommended daily allowance (RDA) of vitamin D for those who are deficient is 50,000 IU per week. If you’re at risk for osteoporosis, consider taking anywhere from 400 to 1,000 IU per day. Calcium supplements will be necessary too. Healthy individuals are advised to get at least 600 IUs of vitamin D per day. However, some experts say that this is not enough, and recommend a minimum daily intake of 9,600 IUs. Research shows that an intake of up to 40,000 IU is unlikely to have any side effects. Who’s at Risk for Vitamin D Deficiency? The aging process contributes to vitamin D deficiency as well. As you get older, your liver becomes less efficient at processing this nutrient. Additionally, you’re spending more time indoors, so your exposure to sunlight is limited. That’s why health professionals recommend seniors to eat plenty of foods containing vitamin D and take supplements if necessary. Some of the best dietary sources of vitamin D include fatty fish, egg yolks, liver, red meat, fortified orange juice, and fortified cereals. Fish, krill, and cod oil can help too. A single tablespoon of cod liver oil, for instance, provides over 1,360 IU of vitamin D. One serving of salmon delivers about 566 IU, while beef liver contains 42 IU. To maximize your vitamin D levels, get outdoors for 10 minutes once or twice a day, especially early in the morning and late in the afternoon. The sun is strongest between 10 am and 4 pm, so it’s better to avoid outdoor activities during these peak times. Prolonged or regular exposure to UV radiation may lead to skin cancer. Are Vitamin D Supplements Really Necessary? Vitamin D deficiency can weaken your bones, cause severe fatigue, and affect cardiovascular function. It also interferes with your body’s ability to fight infections, contributes to back pain, and may trigger depression. Slow wound healing, inflammation, hair loss, muscle pain, and decreased bone density are all common side effects. Considering these risks, it makes sense to include more vitamin D in your diet. If you’re spending enough time outdoors, you may not need supplements. People who live in big cities, however, often develop deficiencies because of pollution. Since this nutrient is found in a small number of foods, you might not get enough from your diet alone. Additionally, too much sun exposure may put you at risk for melanoma. Vitamin D supplementation is highly recommended – just make sure you don’t go overboard. When consumed in excess, vitamin D may cause toxicity. Common side effects include elevated blood calcium levels, nausea and vomiting, stomach pain, digestive distress, vitamin K deficiency, and even kidney failure. Discuss your options with a healthcare professional. He or she can recommend an optimum dose and help you choose a vitamin D supplement that meets your needs. How to take Vitamin D? Going out into the sunlight is most likely the best way to get vitamin D but this can be tricky if you are working in an office all day or if you live in northern countries with limited sun exposure. If for some reason you cannot escape the office or get by a window where the sun shines then you should really think about supplementing with vitamin D.
The recommended daily allowance for Vitamin D is currently set at 400-800IU/day, but this is too low for adults. The safe upper limit in the United States is 2,000IU/day, while in Canada it is 4,000IU/day. Research suggests that the true safe upper limit is 10,000IU/day. For moderate supplementation, a 1,000-2,000IU dose of vitamin D3 is sufficient to meet the needs of most of the population. This is the lowest effective dose range. Higher doses, based on body weight, are in the range of 20-80IU/kg daily. Vitamin D3 supplementation (cholecalciferol) is recommended over D2 supplementation (ergocalciferol), since D3 is used more effectively in the body. Vitamin D should be taken daily, with meals or a source of fat, like Fish Oil. 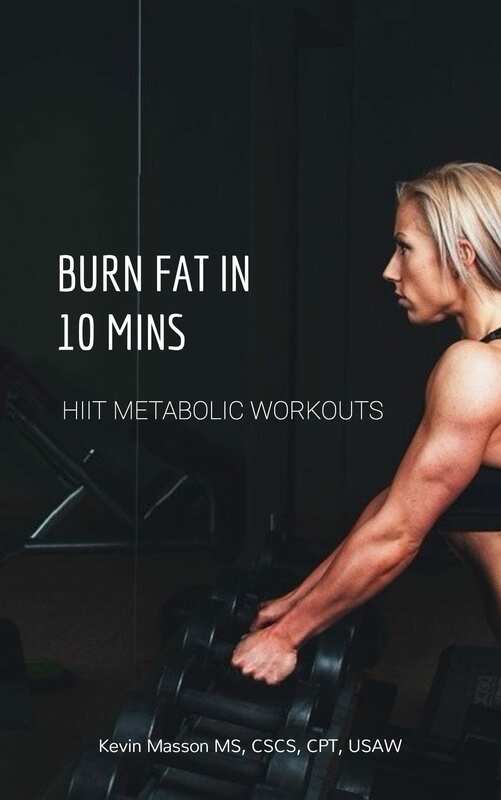 Download the free "BURN FAT IN 10 MINS HIIT METABOLIC WORKOUTS"